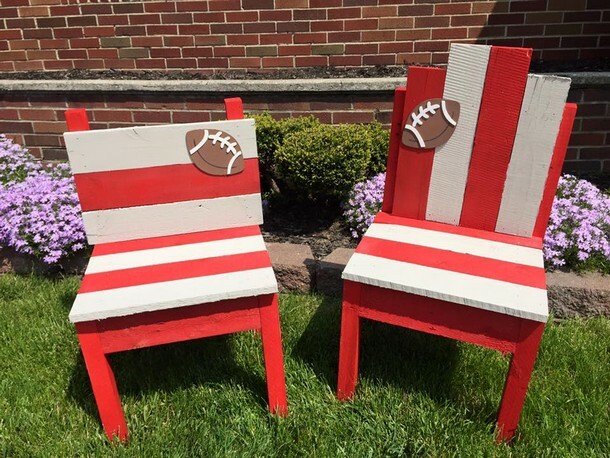 Though we have recycled some countless wood pallet projects, but some of those ideas can be counted as just out of this world. They were so charming and attractive that they could stimulate us, we have compiled a whole list of such stimulating ideas which would leave a long lasting effect on us. Not only they would stimulate your aesthetic sense, but would also escalate your passion for the wooden pallet recycling. You would be keen to make them a part of your practical life and your whole furniture collection would be over shadowed by these stimulating wood pallet repurposd ideas. 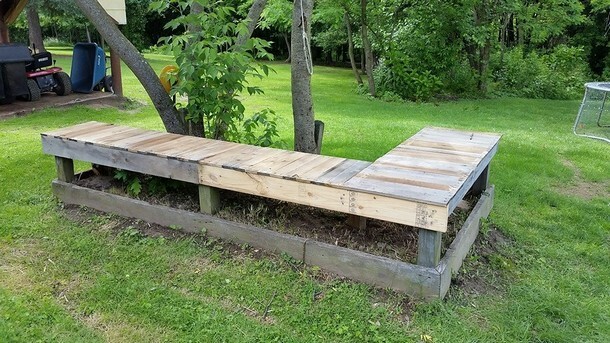 Does it look like a straight wooden pallet garden bench? Well, this might be a mere bench for some but the ones who can read between the lines can also see the other aspect of this wooden installation. It has also got a wood pallet garden beneath the sitting space. 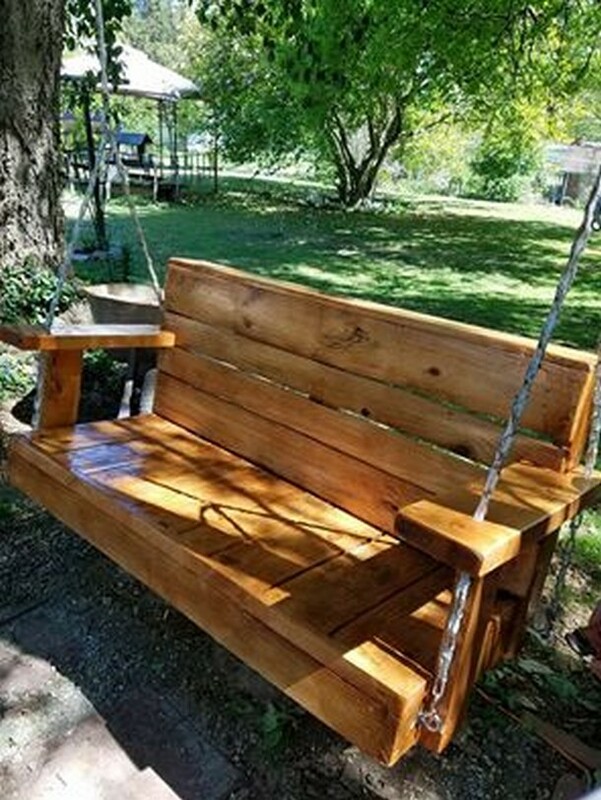 This could be the favorite wood pallet swing of all, because it has got all what it takes to be an ideal rather perfect wooden pallet recycled swing in the patio or garden. The thick arm rests and wide sitting space gives an ideal sitting posture for some longer spells as well. This is a whole wood pallet land. See all the wooden pallet flooring on the ground, luxury wood pallet couches along with a matching side and coffee pallet wooden table. 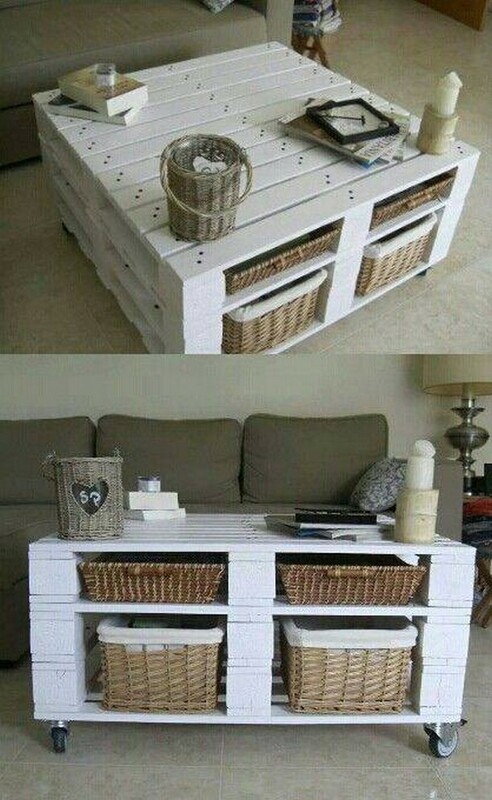 Plus the TV has also got a stylish wood pallet stand, all of these creations are the blessing of shipping pallets. 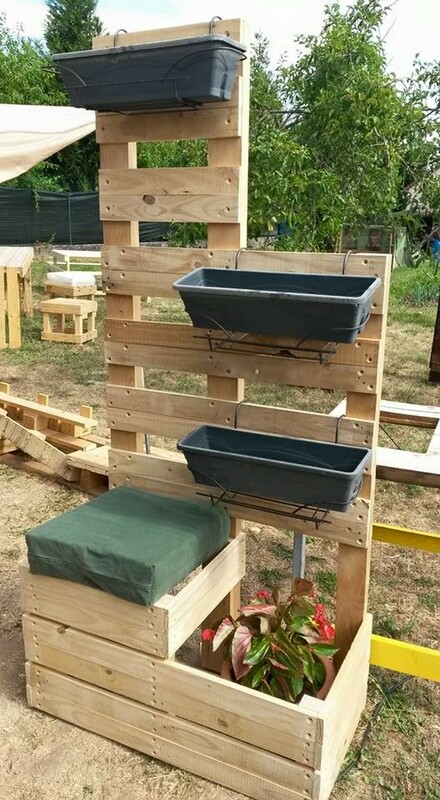 Another ideal and smart sitting arrangement is prepared here with some old used wood pallets. The set up is created around the tree, so even in summer season this place would be operational twenty four seven. 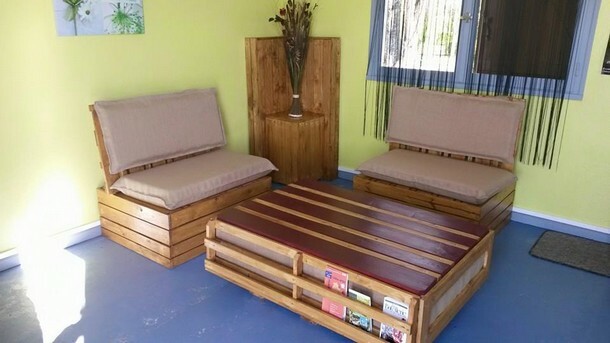 While the wooden pallet couches and coffee tables are made with simple design. This vintage scene reminds me of some old Hollywood movie. But don’t go for mere optics but look at the usability of the furniture that we have recycled here. 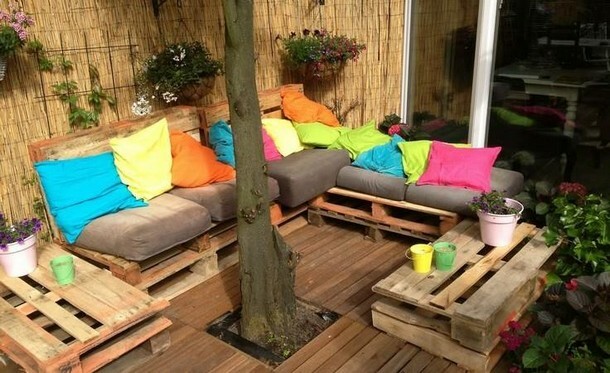 Despite of all broken and deteriorated shipping pallets, the furniture range makes an ideal sitting plan for the patio. How exactly would you use this wooden pallet cabinet if this is brought to you. Well, I think that this could ideally be used for the storage purpose. 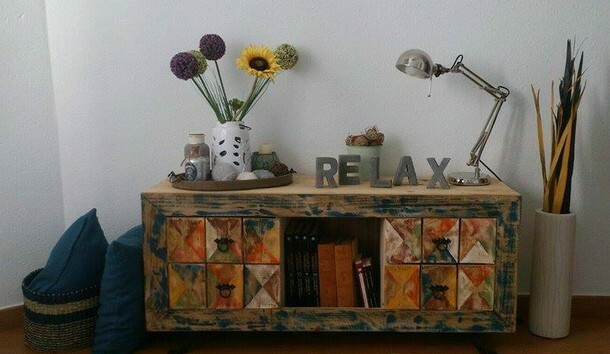 Though the maximum charm is created with random and uneven paint on it, but you must not doubt on the storage capacity of this wooden cabinet. I have told you guys so many times and pardon me for telling this again that I really love the wooden pallet upcycled coffee tables. That’s why I never feel to have enough of them in our collection. Here is another wooden beauty. If we talk about the wood pallet wall cladding, this is something ideal that can be done with the shipping wood pallet. Because if you want to get it done from the market, the cost would give you chills and jerks. 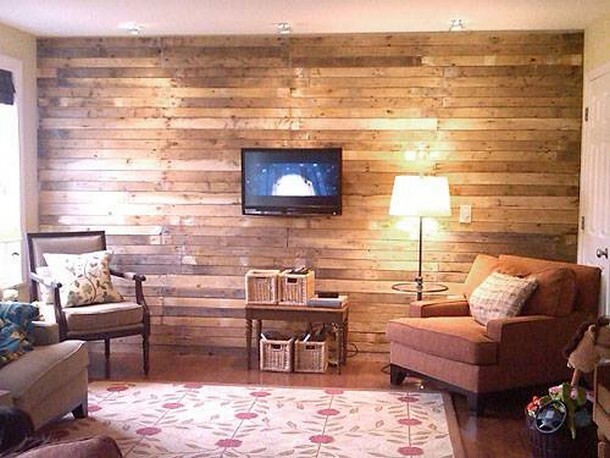 So better stay into your budget and go for this economical wood pallet wall cladding. 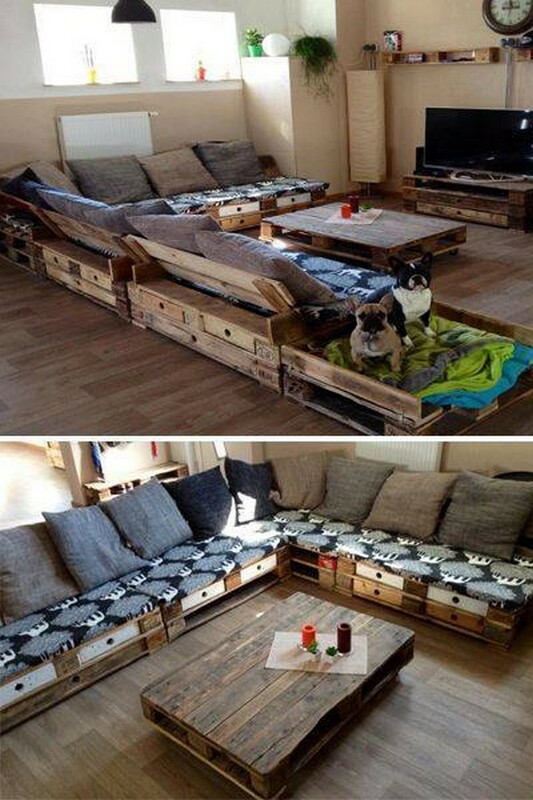 Wow, I really like certain shape of these wooden pallet couches. They are pretty different from the conventional wooden sofas we usually see around us. The base seems to be like a wooden trunk while the back is quite comfortable with maximum support and smooth structure. And here reflects the whole decency, first count on the wood pallet coffee table. The pattern seems to be a bit complicated though, but this was worth it. 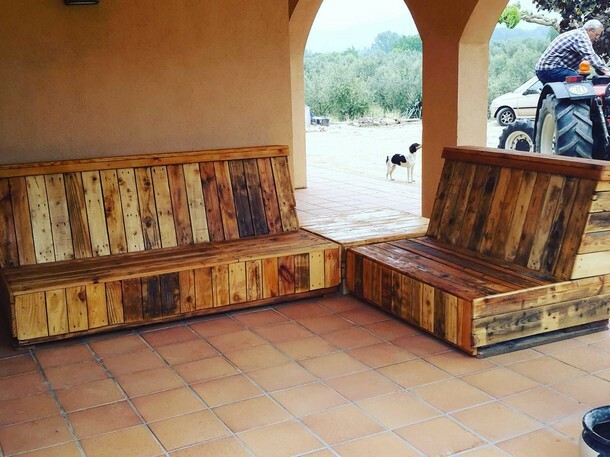 While the wood pallet couch seems like a simple structure made using the wood pallet planks but still they are worth consideration. 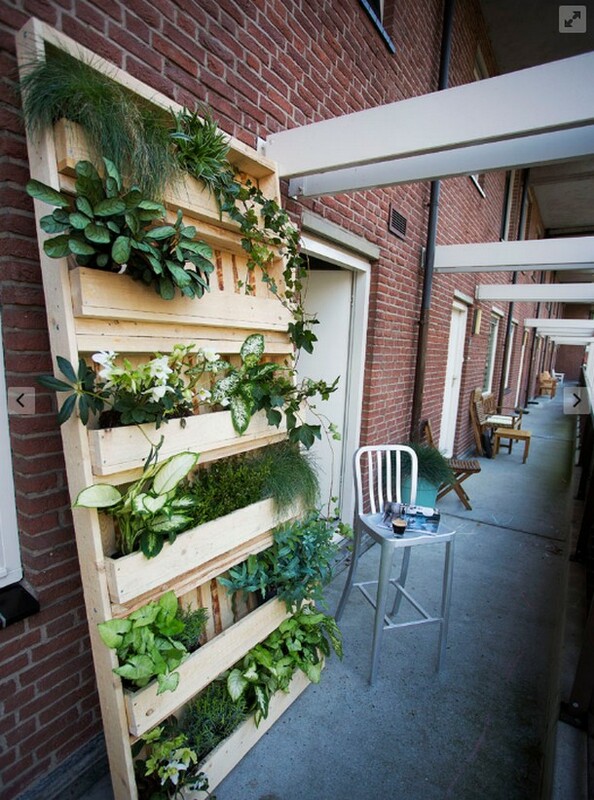 And this is something crazy, something beyond the comprehension because this giant wooden pallet vertical garden has also got a storage cabinet on the base. So this could be the best installation inside your garden that would help you in multiple ways. Be sure the pallets you used are pretty fresh. 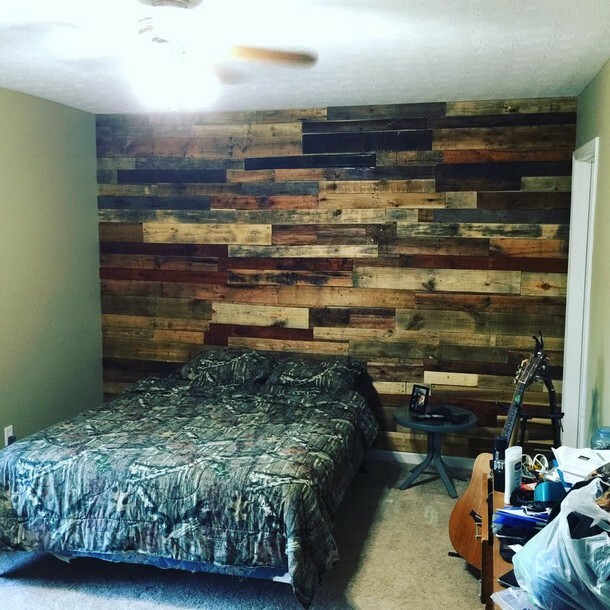 If you are an amateur wood pallet crafter, you can go for this kind of wooden pallet wall cladding. 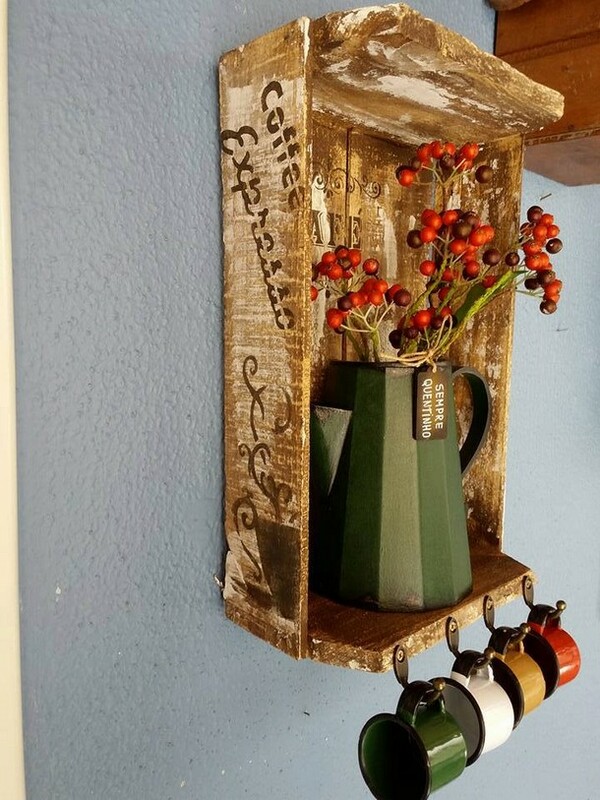 Because here we have used some broken and random wood pallet planks. Even the cutting isn’t that precise and accurate. So just go for this to give your pallet wood recycling a good start. 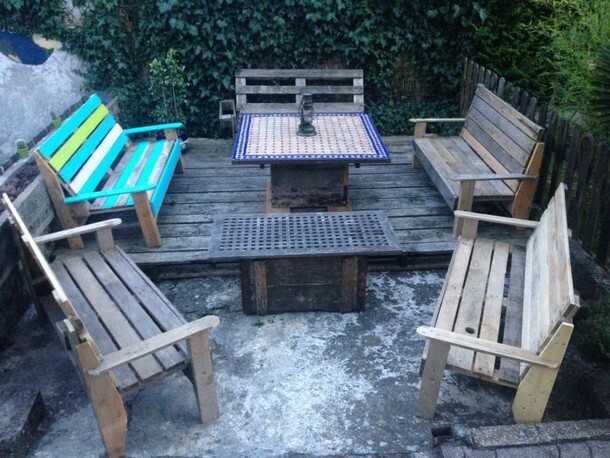 This is another aspect of the wood pallet recycled furniture that we presented earlier. The large wooden pallet coffee table has got the prettiest top, plus it has also got some space for books. 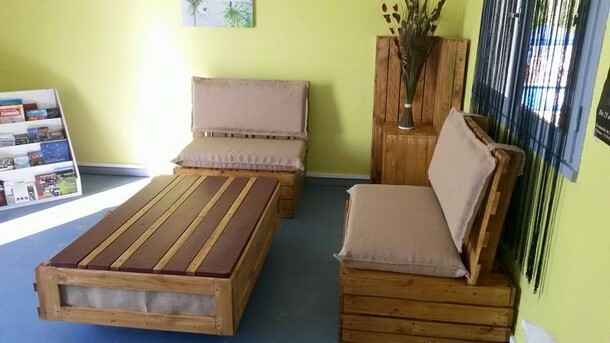 While the pallet wood couches have also got the simplest design that was so handy to recycle. 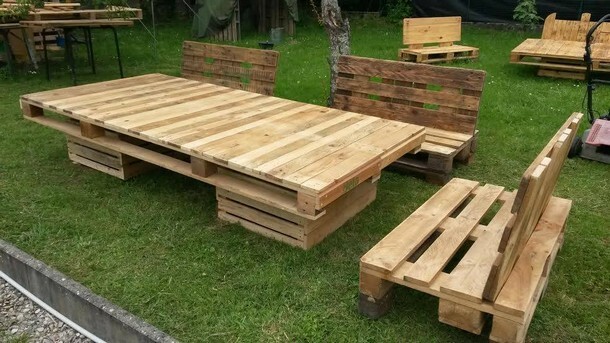 This is called wood pallet extravaganza, if you guys are a regular visitor of this site then you must b aware of the term that I have introduced here. This grand wooden pallet couch along with extra large table or more properly saying dining table is a perfect furniture range for the outdoor. 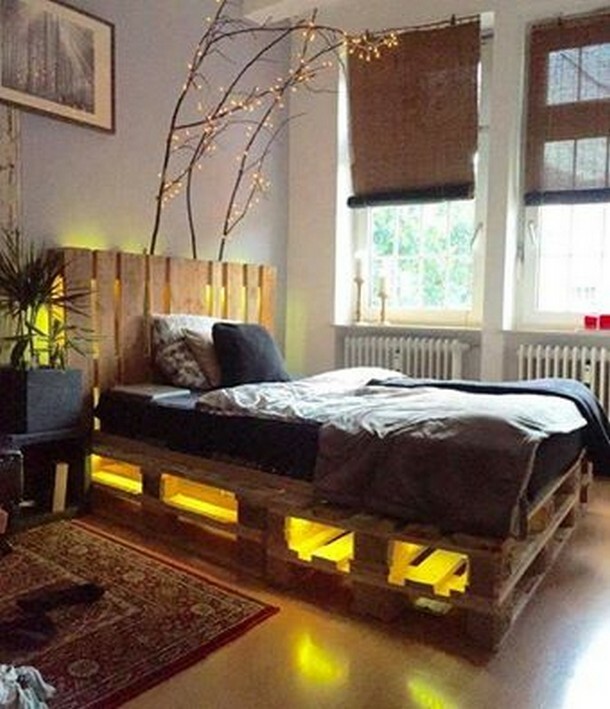 So you guys are getting stimulated with these wood pallet recycling ideas? Here is another for the bliss of you guys and satisfaction as this kind of wood pallet planters are getting so trendy in the west now days, so I just thought to bring one for you. Now this headboard is something that would certainly stimulate you with its wild rustic, and also the design because this certain shape allows you to hang a number of accessories on these wooden shelves. Or place some decoration pieces on the top. This is crazy man, how often do we get to see such artistic creations especially made with the wood pallet? 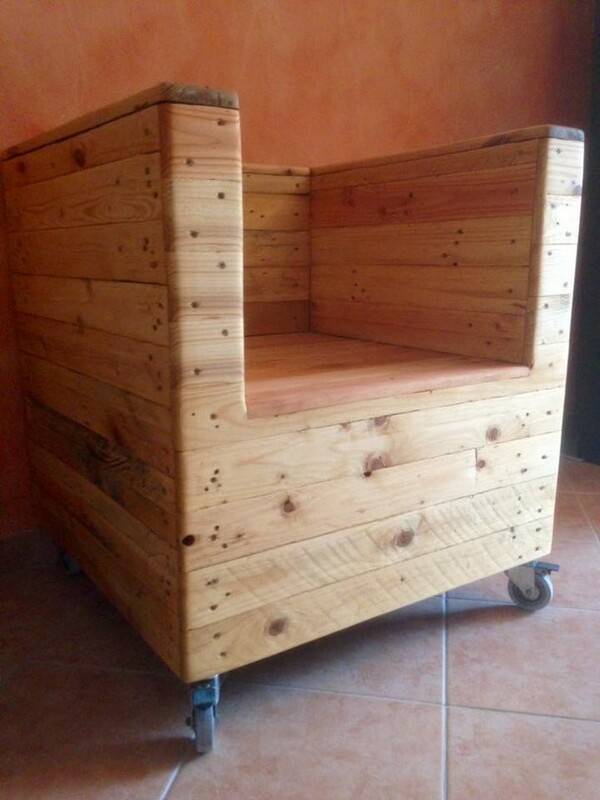 People were not convinced in the past at all with the wooden pallet recycling ideas, but this is pretty high time for this distinguished skill to make the mark. On the end I just couldn’t forget to bring you guys this customized wooden pallet upcycled couch with the prettiest possible shape. Smoothened up corners along with spacious sitting place, this makes an amazing combination of style and luxury. 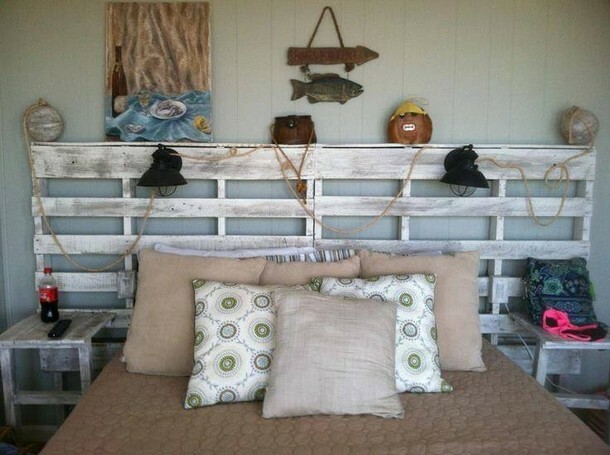 Plus the wheels on the base add more to the charm of this rustic wood pallet couch.